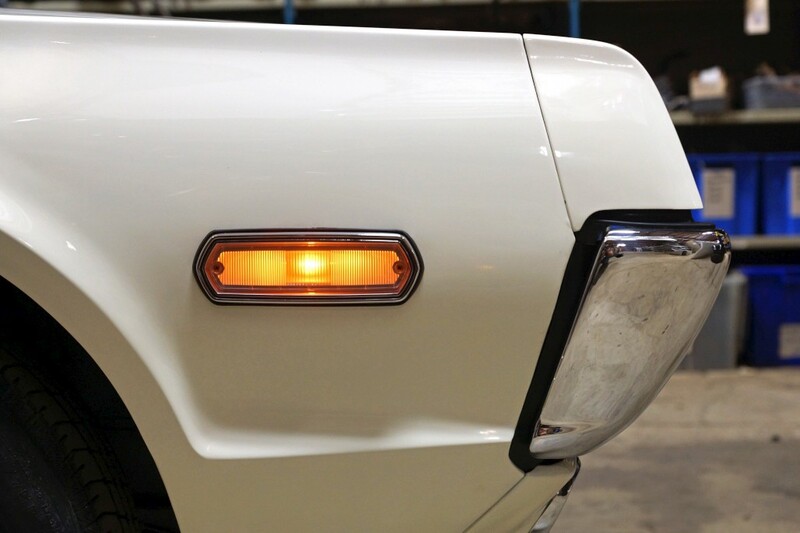 Anyone making reproductions of the front marker lenses in the fenders? I have not been able to track down anything but used down in my searches. Most of the used ones are not much better then what I have. Mine are pretty cooked but and Ive polished the lenses to make them look half way decent but the inside is pretty foggy so was hoping to find a better set if possible. Ken's Cougars has reproduced these. They are really nice. It is very hard to find good used that are not bowed and yellow in color. Thanks bill, I’ll have to give them a call next week to inquire about them. With the way the inside of the lense is molded it’s pretty much impossible to polish like the smooth outside. It’s funny what parts you think will be fine until there is fresh paint on the car! Quickly makes those “good enough” parts not quite good enough anymore! Just wanted to follow up with this, I finally got around to ordering the marker lens from Kens cougars and I must say they are very nice! Fit and finish is great! 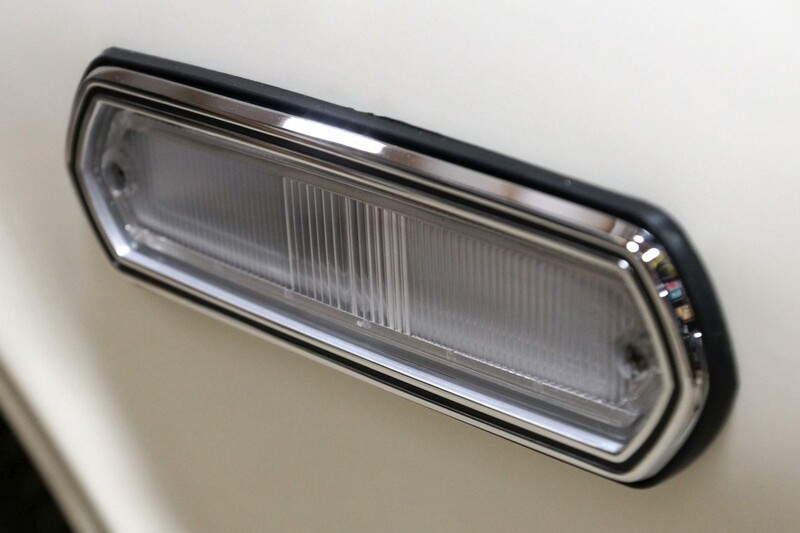 However being repros they may not be for the purists that have to have original but for my car its just want I needed! Thanks Bill for the heads up finding these! We give them a thumbs up! did you guys just start carrying those Don? I looked everywhere before starting this thread in July but never saw them. I had looked previously a few months before that too and had no luck. Yes, only had them listed for about 3 weeks. Well that makes me fell better then I didn’t completly miss them! I take partial credit for getting WCCC to carry these. 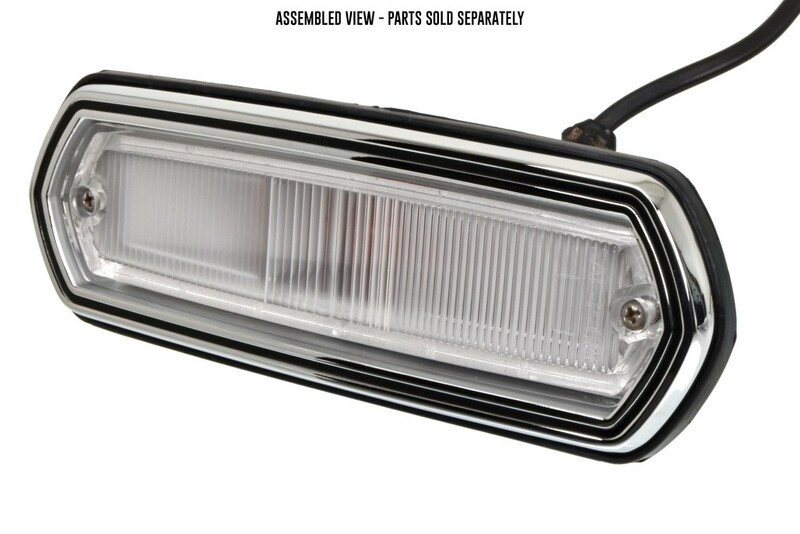 In the process of assembling my car, I noticed we had all exterior light bezels and lenses except for these. 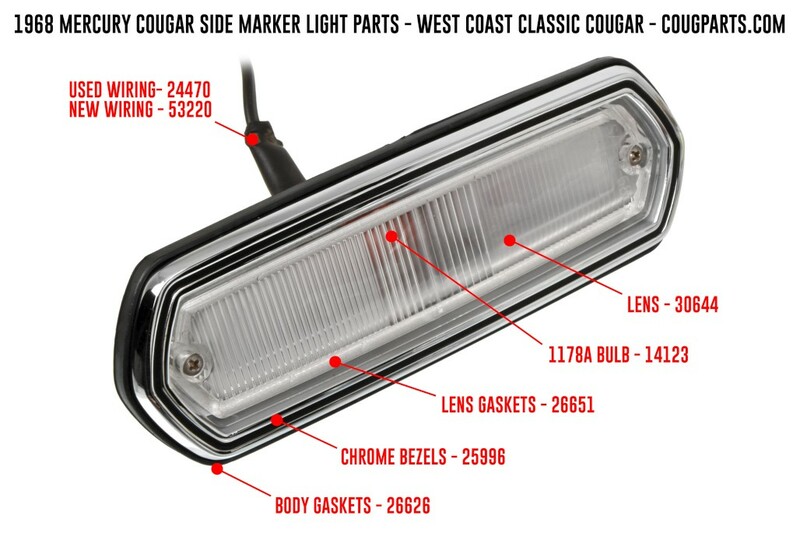 I just installed these lenses on my car along with new bezels and bulbs and gaskets and everything, and they look great. The lenses are crystal clear. I don't feel too bad about not having the FoMoCo stamping, but of course these won't quite work for those doing concours restorations. Since I was already assembling everything, I figured I'd make this little graphic with part numbers to make everything easy to find on the WCCC site. We don't have a listing for the lens screws at the moment. I reused my old ones, along with my original wiring. I love the rich amber color. 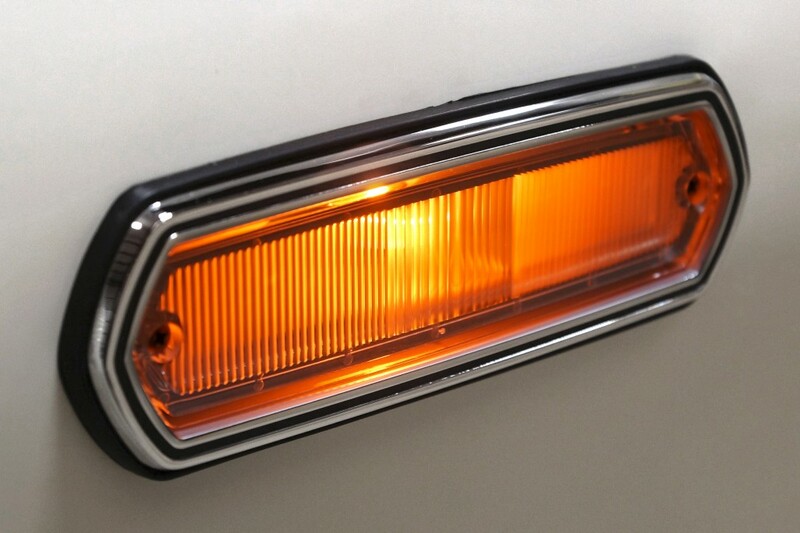 I was used to them being kind of a dull orange-white-ish glow with the ancient bulbs and lenses that were on there. Blitz, what bulb are you using in the last two photos? LED or incandescent?